Can I Make Twilight Sound Interesting? I have a keen interest in literary theory and criticism, I often think it is a dying art form. However for me personally, I think it is a very useful tool to develop. While literature teaches us about the world around us, it can help develop empathy and lead you to explore new ideas. Literary criticism and theories can help unpack those ideas and look at commonality in those books we read. If writing is a therapeutic undertaking which allows the author to get ideas out and explore their own mind. Literary criticism is the exploration into understanding those thoughts and unpacking some deeper meaning. While some people read for escapism, I tend to enjoy a book more if I find something deep. That’s not to say that all novels are meant to be dissected in this way, I believe that you could find deeper meaning in all novels, whether the author meant it or not. Sometimes the author is not aware of the deeper meaning that come out in their writing. I think that trends, symbols, motifs and even opinions (both personal and political) seem to be represented in your writing. There are many types of literary theory out there and I think that most people interested in criticism tend to focus on the theories that they understand the most. For example, if you have a degree in psychology you might focus on psychoanalysing the text you are reading; trying to understand the characters’ and authors’ psychological makeup. While someone that has a political interest in socialism, might look at a piece of text through a Marxist lens and explore the class issues that are evident in the writing. I thought I might try to explain some common literary theories on a very basic level, as a way to understand just how interesting criticism can be. Note that I am not an expert and I am trying to learn more about criticism (that is how I got talked into buddy-reading The Norton Anthology of Theory & Criticism), but I thought this was a topic that needed to be talked about. 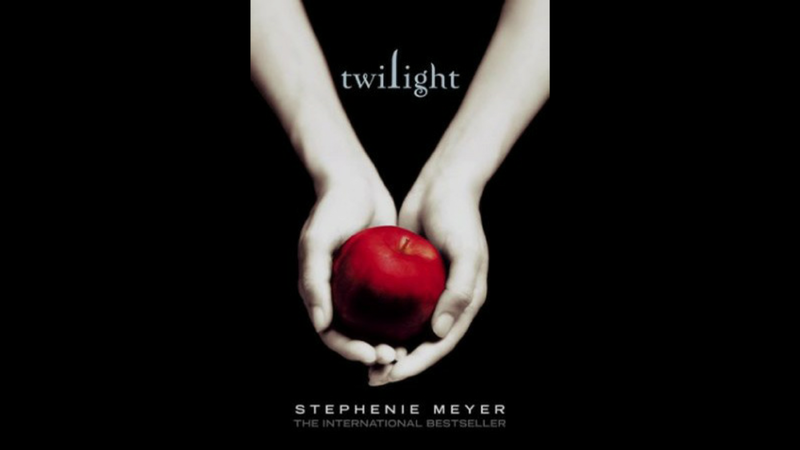 I am going to use Twilight by Stephanie Meyer as my example, because I want to demonstrate that literary theory can be used on any writing and may even make it more interesting. Queer theory is the exploration of sexuality and gender identity within a piece of text. From what I can remember there is no queer characters within Twilight; it is a heteronormative novel. However if you look at sexuality within the novel you can come up with a different story. Take for instance the fact that Edward is over a hundred years; is this perpetuating a fantasy of the older more experienced man? What does this say about Belle and her sexuality (not just her sexual identity)? Feminism is a popular lens for critical analysis; in Twilight you can explore a lot on the topic. We are looking at the role of the woman within the text. While there is little descriptions about Belle, what do have makes her out to be a needy woman with no notion of independence or any idea on what she really wants. Although this is done on purpose, to make it easier for female readers to put themselves into her shoes. Ask yourself, how is Belle depicted in her role as a daughter to a single working father, and as a girlfriend. Just to be clear I am not saying Twilight is anti-feminist, I would say it is rather a post-feminist piece of writing (but I will not go into defining post-feminism). I enjoy Marxism when it comes to literary criticism; it looks at the class conflicts. There are three basic classes, all represented in the novel. The Cullen family represent the upper class, the Swans are middle class, while the Blacks are representing the lower class. Look at the Cullen class, they are represented as wealthy, well educated, and the classical representation of all things related to the upper class. Now look at the way Edward Cullen interacts with Belle and Jacob through the Marxist lens. Does their interactions represent an inherent class struggle? Within post-colonialism, you can look at the relationship between the Cullen family and the Blacks. In post-colonialism you need to take into account the historical conflicts of the setting. Since the Cullens are super white (vampires) and the Blacks are Native American, you are able to see this motif play out quite easily. The relationship between white people and the indigenous in western culture is a big issue that is often explored, whether it is obvious or not. This is the exploration into the conscious and the subconsciousness of not just the characters, but also the author and even the reader. If you think of Twilight as a work of romantic fantasy, what does it say about the characters, the author and even the readers? This would closely parallel Queer theory and feminism in this instance because this is meant to be a romance. So this fantasy of an older, more experienced man plays a big part in understanding the character of Belle. While intertextuality is not a literary theory it is useful for criticism and understanding the relationship of a text with the literary world. Intertextuality is simply the ‘interrelationship between texts’, looking at influences and connections with the wider world of literature. In the case of Twilight you can look at the mythology of vampires and werewolves and how they differ to other books on the topic. This is a very simple way to look at Twilight, especially since the vampires in mythology do not match those that are found in this series. I like to look at the intertextuality between Twilight and Wuthering Height (Belle’s favourite book), especially how the relationship seems to mirror that of Catherine and Heathcliff. To be clear, Wuthering Height is a piece of Romantic literature, which is not to be confused with romance. Both Heathcliff and Edward is a typical Byronic hero, which is described by Lord Macaulay as “a man proud, moody, cynical, with defiance on his brow, and misery in his heart, a scorner of his kind, implacable in revenge, yet capable of deep and strong affection.” The relationship between Catherine and Heathcliff is toxic and is disturbing that Belle would base her idea of love on their relationship. Although Edward is named after another Byronic hero, and that is Mr Rochester from Jane Eyre, which yet again another toxic relationship that could be compared to the one found in Twilight. You could go with intertextuality, for example the fairy tale Cinderella and the connection Twilight has with that story. There are so many different literary theories that you could use to look at the writing in Twilight and deconstruct it into something deeper. Also while reading critically, you could use other tools to analyse the text, from looking at Stephanie Meyer’s background, the cultural influence and there are many other ways to look at this series. I am still learning about literary theory and criticism, but I am very interested in the way the tools I am learning can transform the text into something deeper. I think using Twilight was a good way to prove the usefulness of literary theory or criticism. I would like to know what literary theories interest you and how you would use it in the context of Twilight.